Gabrielle’s recommendation consists of two books that go hand in hand. 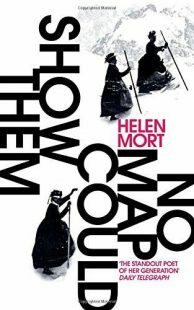 The first is Mort’s collection of poetry which includes odes to women who dared to break new ground. These include women such as Miss Jemima Morrell, a young Victorian woman who hiked the Swiss Peaks wearing only her skirts and petticoats and British mountaineer Alison Hargreaves, who died descending from the summit of K2. 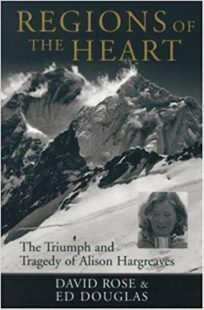 The second book tells, as the title suggests, the triumph and tragedy, of Hargreaves K2 climb that ultimately resulted in her death. The book investigates the controversy that followed her death, as she was severely criticised for risking her life climbing when she had two young children at home. The two books offer very different perspectives on the groundbreaking achievements of these incredible women. 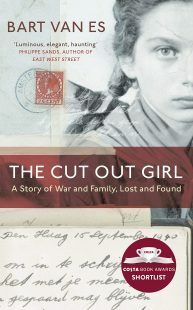 This book tells the true story of the young Jewish girl, Lientje, in Holland during World War II. In an attempt to save her from the Nazis, her parents placed her with a foster family. Her foster parents were Bart van Es’ grandparents and he set out to find out what happened to Lientje after the war when her and her foster parents had a falling out. Bart van Es finds out Lientje is about 80 years old and lives in Amsterdam, he reaches out to her and they form a friendship. The book braids together a recreation of Lientje’s childhood and a present-day account of Bart’s efforts to piece that story together. This young adult, fantasy novel tells the story of Amani Al’Hiza, a gifted gunslinger with perfect aim. She meets the fugitive Jin, in a shooting contest, and through him, she sees a perfect escape route. Amani has dreamt of leaving Dustwalk for years, but it turns out this was not quite how she had imagined it. 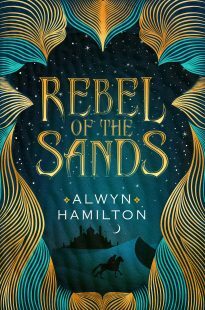 Amani joins the rebellion against the Sultan and, eventually, she embraces all her powers. 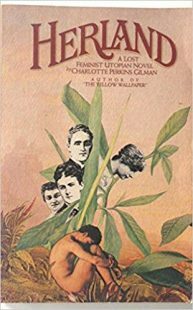 On an expedition to unchartered land in the Amazonas, three American men come upon a society consisting entirely of women. The women reproduce via parthenogenesis and men have not been part of their society for more than 2000 years. The men are amazed by the well-functioning, peaceful, self-sufficient society that these women have created, and it makes them reconsider their opinion of women. Two of the men realise that women are human beings in their own right and that they should not be considered only in relation to men. However, the third man finds it hard to let go of his idea of his own superiority and he continuously attempts to master these women. An attempt that does not go down well with this society of women, who really has no need for men. Quite exceptionally, we recommend this book written by a man. 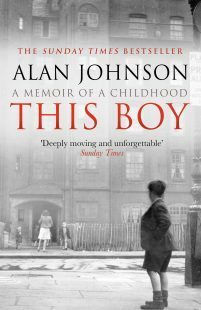 But we choose to include this book, because it focuses, to a large extent, on two significant women in Alan Johnson’s life growing up, his mother and sister. His mother died when he was only 13, having worked extremely hard to keep the small family fed and clothed. Johnson’s sister and himself started working part-time jobs when they were 12 to support the household, but they struggled with poverty throughout their childhood. This entry was posted in Blog and tagged with Alan Johnson, Alwyn Hamilton, Bart van Es, book picnic, Charlotte Perking Gilman, David Rose, Ed Douglas, Helen Mort.